Look at the picture above. What do you see? Some of you will automatically see a beautiful young woman from a different era. Others will see a decrepit old lady. If you look long enough, you will soon see both. This is a powerful illustration of how different people will see the same picture and see different things. Though you see something different from the next person, you’re both right. People can reach different conclusions and no one is wrong. We’re just seeing the same thing from different perspectives. Similarly, people will read the same Bible passage and reach different conclusions. Yet, no one is wrong. Two readers can reach two different conclusions and they can both be right. Just like with the illustration above, parts of the Bible lend themselves to more than one correct conclusion. As we come to see that, we come to embrace one another and live in unity together, not merely tolerating one another, but actually affirming one another. Really? If you think that Bredenhof has finally come to his senses, you need to read further. If you think that I’m buying into that manner of thinking, I can assure you I’m not. To begin with, we need to recognize something about that illustration above. It was designed so that people would reach two different conclusions. Whoever created it did so with the intention of portraying both a young woman and an old lady. This illusion was no accident. Because of the intention of the creator, the person who says that it only portrays a young woman is just as wrong as the person who says that it only portrays an old lady. The person who says that it portrays a young woman is just as correct as the person who says that it portrays an old lady, but neither is as correct as the person who says that it portrays both. The intention was to get people to see both. But what if the person who created a portrait only intended it to be understood one way? What if his intention was to portray one thing and one thing only? Now, what if a vast majority of people had an eye-defect which prevented them from seeing only the one thing that the creator intended to portray? 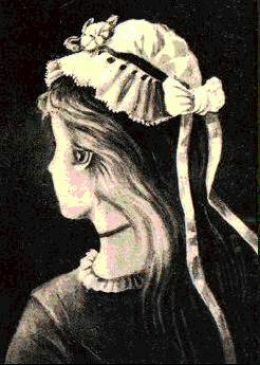 This eye-defect is what creates illusions. But then, further, what if the artist had a pair of corrective lenses that he could give to viewers of his portrait, so that, with these lenses, they see only what he wants them to see? With these corrective lenses, viewers would comprehend the sole correct meaning of the portrait. That changes the situation quite drastically, doesn’t it? Let’s go to the Bible for an illustration. In 1 Thessalonians 1:10, the apostle Paul writes that the Thessalonian Christians are waiting for the return of Jesus from heaven. He adds that this Jesus is the one whom God raised from the dead: “…whom he raised from the dead…” Now someone might approach that passage and say, “It’s like the illustration of the old lady and the young woman…” To which we must immediately reply, “Oh, you mean the illusion of the old lady and the young woman?” Someone might say, “You could take this literally and say that Paul believes that the heart of Jesus started pumping blood again on Easter Sunday, but you could equally say that Paul is teaching that Jesus came to life again in the hearts of his disciples. Both could be correct.” Really? What this fails to see is that we are not dealing merely with the words of man, but the infallible Word of God. The nature of God must factor into this. The God of truth does not lie or create illusions. The problem is with man. The problem is that we have not only an “eye-defect,” but also a heart-defect. Since we are inclined to hate God, we are inclined also to misread his Word and see what we want to see. God corrects our heart-defect with his Spirit. His Holy Spirit, who inspired the Word in the first place, gives us the desire to understand God’s Word as he intends it to be understood. God has promised that the Spirit of Truth will lead us to his truth (John 16:13). Therefore, the Christian says, “Father, help me with your Spirit to understand what you mean in your Word. Help me not to see illusions, but the true reality.” This is a prayer that pleases God and will be heard by him. God answers our prayer and helps us to see the true reality with his “corrective lenses.” His Spirit leads his children to put on these corrective lenses so that our “eye-defect” can be addressed. What are these corrective lenses? It’s the rest of his Word. If we’re looking at 1 Thessalonians 1:10, a faithful Christian is going to go elsewhere in Scripture to help us understand this teaching in the correct way. For example, we go to 1 Corinthians 15. In that passage, the Holy Spirit is adamant that Jesus rose from the dead and this was not felt in the hearts of his followers, but seen with their eyes (1 Cor. 15:3-8). In John’s gospel, the disciples touch Jesus and he eats with them — this did not happen in their hearts. There is only one correct understanding of 1 Thessalonians 1:10 — Jesus physically rose from the dead on Easter Sunday. This was history. This is no illusion. It really happened as plainly described by God in his Word. There are still difficult passages in Scripture where we struggle to reach the correct conclusion. As a preacher, I have occasionally encountered passages where I have to honestly say, “I’m not sure.” There are some passages where faithful Christians do reach different conclusions, even with the Spirit filling them and leading them to put on the corrective lenses. But that still does not mean that all the different conclusions are equally legitimate. Some are wrong and some are right or some are more wrong and some are more right. Even if we can’t perceive it, this is the way things are. The God of truth is still speaking in this Word and his intention is not to offer illusions to confuse us, but absolute truth to encourage us (John 17:17). The most important thing to realize is that the Bible is ultimately not a human book. In the final analysis, this is God’s book. Yes, there are 66 books where various human authors were involved, but behind them all was one Author. In every chapter, every verse, even every word, this one Author has his intentions. The unregenerate will not discern those intentions, certainly not with any consistency. Christians can and will. Our calling as Christians is to prayerfully follow the Spirit by putting on the corrective lenses of the Word, comparing Scripture with Scripture, and thereby striving to faithfully discern what our Father intends to say. The inerrant Word must always be our guide, also when it comes to understanding the Word. I have written recently about the decisions made by the Reformed Churches in the Netherlands at Synod Ede 2014, specifically decisions relating to women in office. As part of the decision-making process, the synod asked a number of experts for advice. One of those experts was the retired professor of New Testament, Dr. J. Van Bruggen. Jaap and Arjen Vreugdenhil have translated this letter and, thanks to their efforts, I can share it with you here. It’s definitely worth a read. Dr. Van Bruggen is certainly not alone in his protest against these developments in our Dutch sister churches. To the General Synod of the Gereformeerde Kerken in Nederland, Ede 2014. Your assembly asked me to comment on the report, Men And Women In The Service Of The Gospel. It should be short, I was told. It can only be short if we focus on the essentials. But before these ‘benefits’ move you to consent to this report, you should consider what price you will have to pay. After all, it cannot be denied that our Apostle Paul, guided by the Holy Spirit, requires of us, in the organization of congregational life, to take into account the different creation of man and woman (1 Timothy 2:13; compare the reference to the Law [in this case Genesis 1-2] in 1 Corinthians 14:34b, and 1 Corinthians 11:8-9:12), as well as the reality of the history of sin in paradise (1 Timothy 2:14). It is our responsibility to account for this in later times with very different organization of congregations in various times and countries. Worldwide and through all earlier centuries, this brought the churches to distinguish between offices that man ought to fulfill, and other tasks that belong specifically to the woman, or to man and woman together. Traditionally, the Reformed Churches also aligned to this custom and practice of all congregations (for such alignment, compare 1 Corinthians 11:16, 14:33, 36). The Reformed Churches (liberated) reaffirmed that alignment in 1993, when at the introduction of women’s right to vote they stated in the grounds that this does not concern an act of government. The committee does not justify their departure from this argument in this fairly recent decision of a synod of their own federation. That is odd, but not incomprehensible. Underlying the decision of the Synod of Ommen 1993 was a consideration of how the Bible speaks to us today concerning the offices in the Church. It was summarized as “governing”. The committees no longer enter into a discussion of this kind, because they deem the Apostle’s instruction on this matter not directly relevant for us today. Paul, an apostle of our Lord Jesus Christ, was convinced that “every Scripture is inspired by God and is profitable to teach, to refute errors and mistakes and to educate a virtuous life” (2 Tim. 3:16). On the basis of this conviction he also wrote, using Genesis 1-3, about the organization of church life. He reasoned from the Holy Scriptures to the congregations that they should be trained in piety and virtue (see Acts 20:28-32). The committee report presents a very different picture. Paul allegedly used the Scriptures as a source for arguments when describing what impression the congregations make on their surroundings. If this were true, we modern Christians, through a similar reasoning, might arrive at very different conclusion, to adjust to what our culture perceives as normal. In 1 Timothy 2 [Paul] does not appeal to a specific given from Scripture (“Scripture says…”), but he reminds us of the story of Adam and Eve as a historic event: creation, fall, redemption. Such a reminder of a historic event, even at the beginning of history, is not a normative appeal to the precepts of God. In a similar way, Peter confronts his female readers with the example of Sarah, who addressed her husband as ‘my master’ (1 Peter 3:5-6; see Genesis 18:12). In 1 Timothy 2:13 (“For Adam was formed first, then Eve”), Paul uses the situation in Paradise to point Timothy and his church in their situation in the right direction. In doing so, he interprets the order of creation events as an order of rank. While the notion of a created order of rank, in which each person was assigned his or her proper position, fit well with the existing social patterns of the day, in our situation such an idea feels foreign. Thus the use of this argument, too, is coloured by its context. 1. The beginning of this quotation immediately raises questions. Why would an appeal to God’s history in creation and redemption not be a ‘given from Scripture’? Why would a reminder of a ‘historical event’ have no normative value? God’s history with his people “took place as an example, for us”, Paul writes in 1 Corinthians 10:6. Paul and Peter point to the examples of Adam and Eve and Sarah because they provided men and women with models for their own behavior. The work of the Creator and the attitude of Sarah are instructive for us, Christians—according to the apostles of Jesus Christ! 2. Precisely because Paul writes as “commissioned by God” (1 Timothy 1:1), it is strange that the quotation speaks about his words to Timothy and Ephesus in such a humanistic and limited way. They write that Paul “uses the situation in paradise to point Timothy in the right direction”. Paul would be ‘interpreting’ the creation sequence as an order of rank. That is, in 1 Timothy 2:13 we are dealing with an example from creation, but with an interpretation by Paul that is not in the Bible (Genesis), but which he adds to adjust to what “fits well with the existing social pattern”. In other words, we owe the example of ‘rank’ not to Genesis 2, but to society in the first century A.D., and Paul employs Genesis 2 to suggest that this ‘ranking’ was actually created! This means that the apostle of our Lord Jesus Christ, in fact, would have abused Scripture in his reference to Genesis 2. 3. Despite all the good words in the report on the authority of Scripture, the quotation above implies that 1 Timothy 2:13 has no authority for us, because it is Paul who ‘interpreted’ the creation order ‘as a ranking’, and because this interpretation was well-suited to his own time but no longer to ours. Just as the prevalence of a certain view inspired Paul to make a specific use of a past situation (Paradise), so the ‘foreignness’ of this idea in our own time might move us to dismiss the word of Paul, as something that has only been valuable in the past. When we leave these words of our apostle behind us, in the context of his own time, and focus on the context in which we live ourselves, we arrive at a dead end. For which culture becomes our norm? That of D-66 [politically bland, AVr] Netherlands, or certain subcultures of Amsterdam or Utrecht? The Kampen ethics professor recently wrote that churches in Muslim countries might have to deal very differently with women in office, in order to obtain the same effect of giving no offense. But what impression does the church give to the 16.9% Muslims in the Netherlands? Thankfully the Lord through the Scriptures puts us on the continuing road of his own history, and his goal is to express this in his church. In the eyes of the world she will share in their attitude to the gospel: foolishness to Greeks! How good it is that we, Christians, precisely on the basis of the special characteristics of the church, can tell about the reality of Adam and Eve, of creation and fall of man, of love and mercy. As I write this, I but wonder with some dismay whether I this write for a synod of Reformed Churches. Who would carry coals to Newcastle? Am I off-track in this letter because I fail to discuss in-depth the hermeneutics developed in the report? After all, is not this hermeneutics the justification for no longer applying the Pauline statements about Adam and Eve, creation and fall of man? It was indeed first my intention to write a note about that hermeneutics, but it gradually dawned on me that this would really get my advice off-track. 1. The elaborations presented in the report, complete with charts, do not belong in an ecclesiastical and pastoral document. This would also apply to an analytical discussion of them. 2. One may fill many or few pages with arguments, but in the end we believers read what Paul writes, without theoretical considerations and diagrams. And then we cannot escape the fact that he urges the churches to account for Genesis 1-3 in the organization of congregational life. He never says that he uses the texts of Genesis merely as an occasional argument to remain in line with the social position of women and men in his time. How could he do so? So many centuries later, the narrative of Genesis is still decisive for the churches of the New Testament, because it is God’s work and our history! Therefore, the apostle appeals to it, even though the new Christians in Ephesus were not familiar with the stories from Genesis, which sounded foreign in their culture. That is why Paul also commands the preacher Timothy to “communicate this in his teaching” at Ephesus (1 Timothy 4:11). We should therefore take his arguments seriously and allow ourselves to be taught by it (whether we find this is difficult or easy). If we fail to do so, we will not only push Paul aside, but Genesis as well! And we miss the fact that Paul is not concerned with the removal of potential offenses to unbelievers, but rather with the teaching of what is proper for women who claim to worship God (1 Timothy 2:10). Are we not descendants of our ancestors Adam and Eve in the same way as our brothers and sisters in Ephesus? 3. When I asked your clerk what exactly was involved in this request for an advice from me as an exegete, because the report takes a decisive position on hermeneutics for the reading of Scripture, he kindly wrote back that I’ve taught Hermeneutics in Kampen. Indeed, in the line of Van Andel and Greijdanus I have taught the rules for the interpretation of the Bible (classical hermeneutics) for 35 years, and over and again I have refuted the new hermeneutic: it considers the Bible as a document from the past, which must continually be infused with new meaning in new contexts. I have also written about it in Het Kompas van het Christendom and other publications. This is not so much about knowledge or information, but rather about choices and decisions. The committee suggests that the line of their report is in line with the Reformed tradition (p. 20). For proof of this they mention my name. Unrightfully so: in the article cited by the committee, I was dealing with the relationship between the meaning of words and the cultural and social context. The view of the deputies has to do with a different issue, namely: the meaning of text and cultural and social context. 4. Do I accuse the committee of bad faith? No, but rather of rashness. Perhaps some people imagine that we can say goodbye to some Pauline texts merely on the matter of men and women, and nothing else. But that is quite naïve. There are at least two major shipwrecks on the beach that should be beacons to us. When the Gereformeerde Kerken (synodaal) opened up all offices for women, with an argumentation very similar to that of your committee, they really had no intention to introduce higher criticism or make the Bible inoperative. 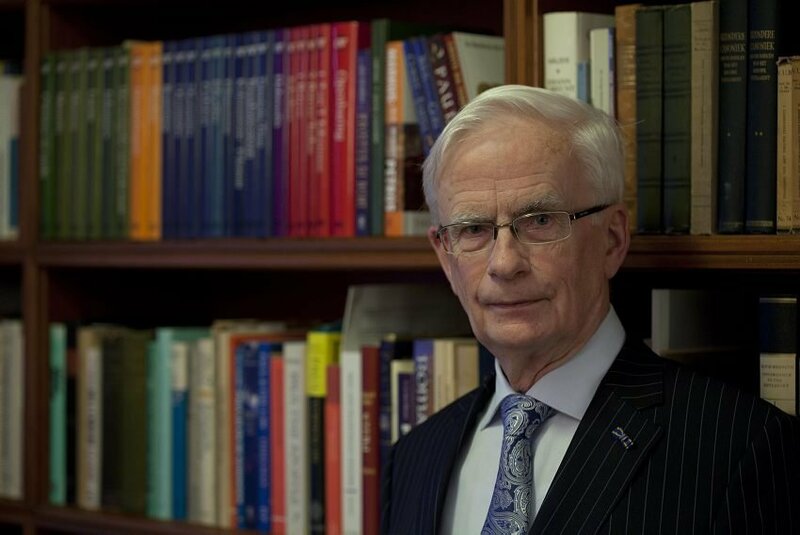 The outcry was great when Prof. Dr. H.M. Kuitert immediately declared that his synod had now legalized higher criticism. Yet he was proven right: this rash decision was later regretted by many. The same process was repeated with the Christian Reformed Churches. I am unwilling to believe that any of the committee members or synodical delegates wants this. But I do say: look at those beacons and think again! Surely you don’t want this? At the end of the day, it should not be difficult for your assembly to decide about the report. a. You may declare that this report has not shown convincingly that in the organization of our church life we need no longer take into account the decisions of our apostle Paul about the difference between Adam and Eve and the significance of the fall. b. Furthermore, your synod may state that the report rightly devoted many good words to the service of men and women for the sake of the gospel, but that it wrongly ignored what Scripture says about what we call “the office of government” (recently confirmed by the synod of Ommen, 1993). c. If you want to complete the discussion about this entire issue, as was the intention of the previous Synod, you may decide that no compelling reasons have been found to deviate from the practice of many centuries and of most of the churches, based on 1 Timothy 2, to assign the offices of teaching and oversight to the responsibility of the man. Much more difficult than taking a decision, is a return to instructing the congregations about the importance of the history of creation and salvation in general, and about these scriptural data in particular. We have become desensitized to these realities and become more sensitive to the world around us. However, it is very important to regain this sensitivity. Only through education and example will reappear the love towards the story of Adam and Eve and the respect for what the Lord attaches to it. I’m not sure if synods can decide anything about that. In any case, they cannot execute or accomplish it. The responsibility lies with those who as shepherds must lead the flock to be citizens of a kingdom this is above, and with all Christians who would persevere in their desire for a heavenly kingdom, that is not of this world. The decision-making about the report takes place in an ecclesiastical reality that is adrift. I pray therefore for all of you, that you may have wisdom and courage. You will not be able to take a decision to change reality. But you can make a decision that is responsible. And the Lord can make that decision in his time and manner into a blessing for the church and the gospel, for men and women. The other day I mentioned this book by Graeme Goldsworthy. Today I’m reposting my review from 2007. Going through the book again, I’m impressed by Goldsworthy’s commitment to starting with what the Word of God says when it comes to developing principles of biblical interpretation. He doesn’t call it that, but this is a Reformed approach because it honours the crucial principle of sola Scriptura. Whether it comes to apologetics, worship, ethics, hermeneutics (or anything! ), we have to begin with the Bible — and the Bible alone. It’s so basic to being Reformed — and it’s in danger of being lost. 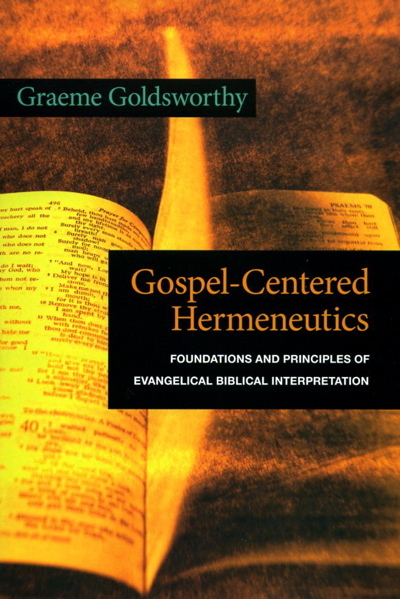 Gospel-Centered Hermeneutics: Foundations and Principles of Evangelical Biblical Interpretation, Graeme Goldsworthy. Downers Grove: IVP Academic, 2006. Hardcover, 341 pages, $20.15. There is nothing more important than rightly understanding the Bible. In its essence, we believe that the Bible is a clear revelation from God. Yet because of the fall, what should be clear is many times clouded by human sin and weakness. For this reason, when there are difficulties in understanding the Scriptures, it is the divine Scriptures themselves that must shed light and lead the way. One man from our own tradition who understood this was Dr. Seakle Greijdanus (1871-1948). Greijdanus was a professor of New Testament in the Reformed Churches in the Netherlands. In 1946 he published his most important work, Scripture Principles for Scripture Interpretation. In this book (a summary of which can be found here), Greijdanus drew out in detail what it means to believe that “Scripture interprets Scripture.” We call this a presuppositional approach to hermeneutics; this approach to the science of Scripture interpretation says that we have to begin with the presupposition that the Bible is the authoritative Word of God that also speaks to this science. This is an important book for our age, an age (not unlike others) in which proper understanding of the Scriptures is under attack. While it is a technical book that would serve well as a text for college and seminary students, informed “laypeople” would also benefit from Goldsworthy’s gold. This is the third Goldsworthy book that I’ve read in the last year (According to Plan & Preaching the Whole Bible as Christian Scripture being the others) and while the other two are also worth recommending, Gospel-Centered Hermeneutics is the best. Last night I did a brief introduction to Biblical Interpretation (hermeneutics) for my congregation. A lot of what I said was based on an excellent book by Dr. S. Greijdanus, Schriftbeginselen ter Schriftverklaring (Scripture Principles for Scripture Interpretation). Back in 2006, I blogged through this material. Eventually I put it all into a .pdf and it’s been available on my resource site ever since. For last night I revised the document, improving here and there, and eliminating the typos. The new and improved edition is now available for download under “Teaching Tools” on the right hand side of this page. You can also get it directly by clicking here.